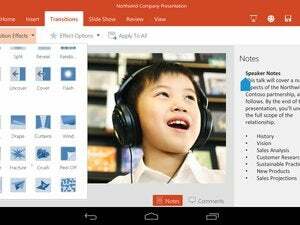 The iPad apps were widely praised, but many questioned the wisdom of requiring a subscription for anything beyond the ability to view properly formatted files, since the App Store is brimming with free alternatives, including Apple’s iWork and Google’s Docs, Slides and Sheets. “This is a rebalancing of what Microsoft makes available for free,” said Phil Karcher, a Forrester Research analyst. It’s offering enough capabilities to expand the number of free users it can attract, while reserving a set of “premium” capabilities that could tempt them into subscribing to Office 365. “Having to pay just to edit documents was a high hurdle. With the rebalancing, customers are more likely to get sucked into using the free version of the app,” Karcher said. 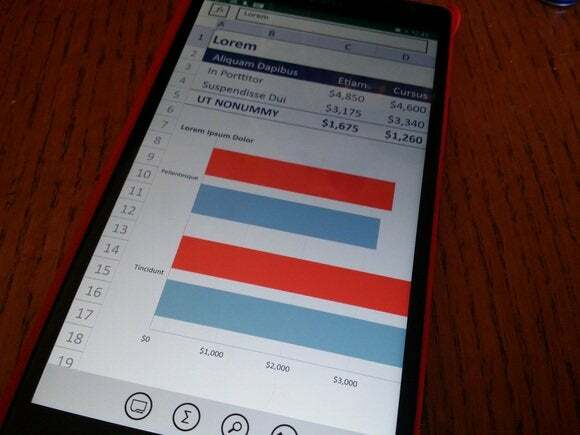 Office Mobile for iPhones, which shipped in mid-2013, was panned for its lack of functionality, and until March this year it required an Office 365 subscription to use it. Reacting to the poor response, Microsoft is now replacing it with standalone apps for Word, Excel and PowerPoint that are more powerful because they’re built from the same code base as the iPad apps. A portion of those people will stick with what they’ve gotten used to. While the moves this week are aimed at the consumer market, there will be an effect on enterprises as well. “Its primarily a consumer market move, but people carry expectations into the workplace based on what they experience in their consumer lives,” Karcher said. “The announcements are part of Microsoft's continued realization that it needs to focus increasingly on mobile users in order to maintain growth in its Office franchise, and that the Surface tablet is not going to provide the avenue of growth into the mobile space that Microsoft needs,” said Michael Osterman, the company’s president.